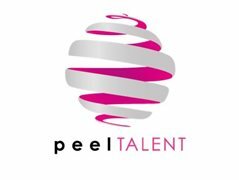 PEEL Talent are seeking Broadcast Technician to join our Award Winning Entertainment Teams on-board our international fleet of Marella Cruise ships. Food, accommodation, flight tickets are covered along with discounted prices to most facilities on-board. Oversee content distributed via the digital signage system and make sure it is updated each day, via the content management system. Must have a working knowledge of Microsoft Office, Final Cut Studio, and Editing & Digital Video Format Camera use. A knowledge of content management systems, basic design text processing and file formats.